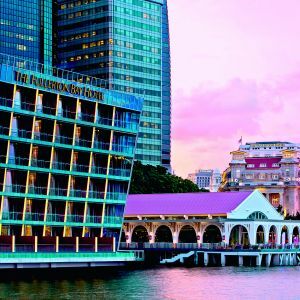 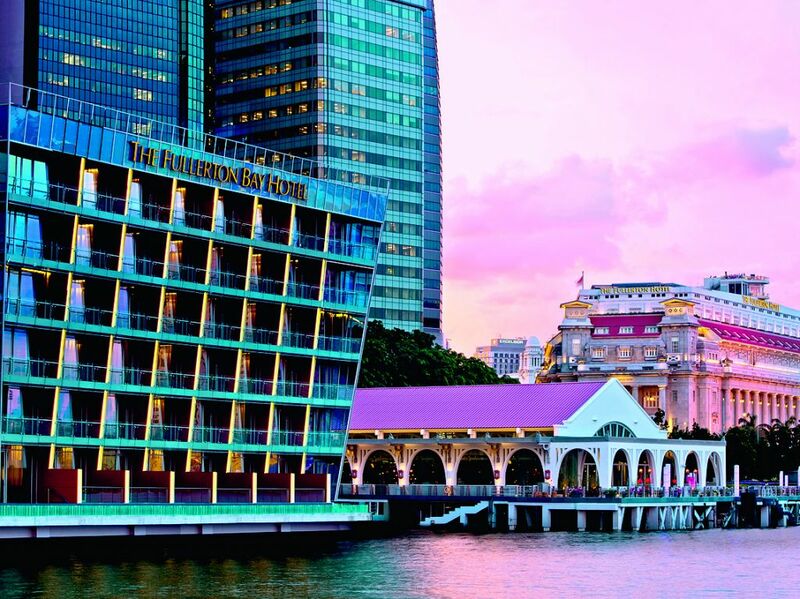 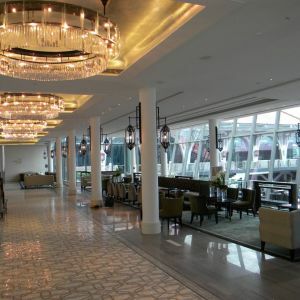 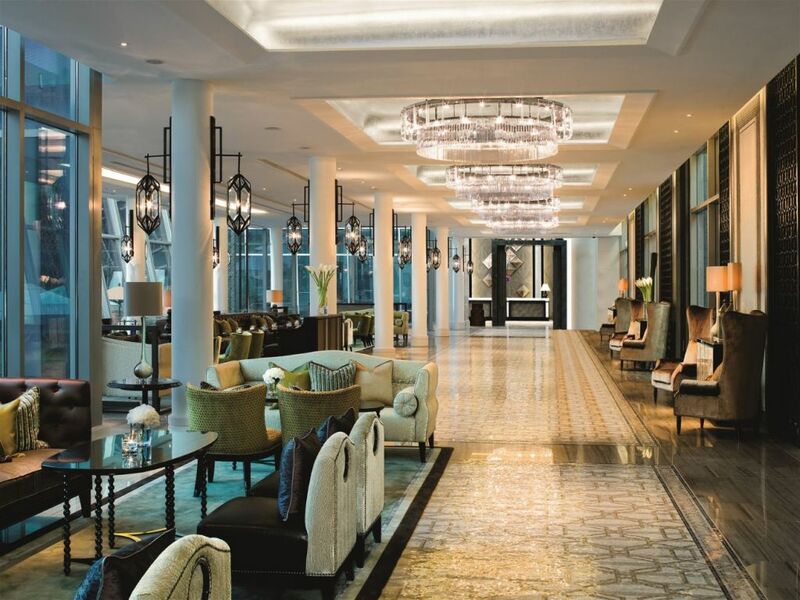 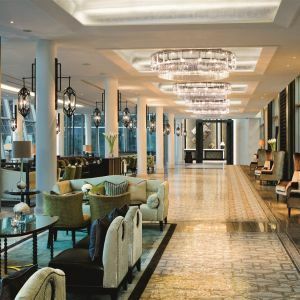 The six-storey, 100-guestroom Fullerton Bay Hotel is a recent Singapore heritage restoration, adding a touch of sophistication to the culturally packed Marina Bay area. 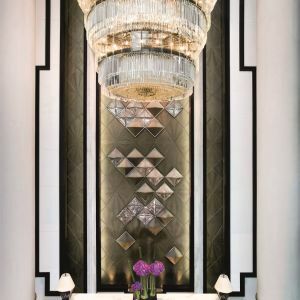 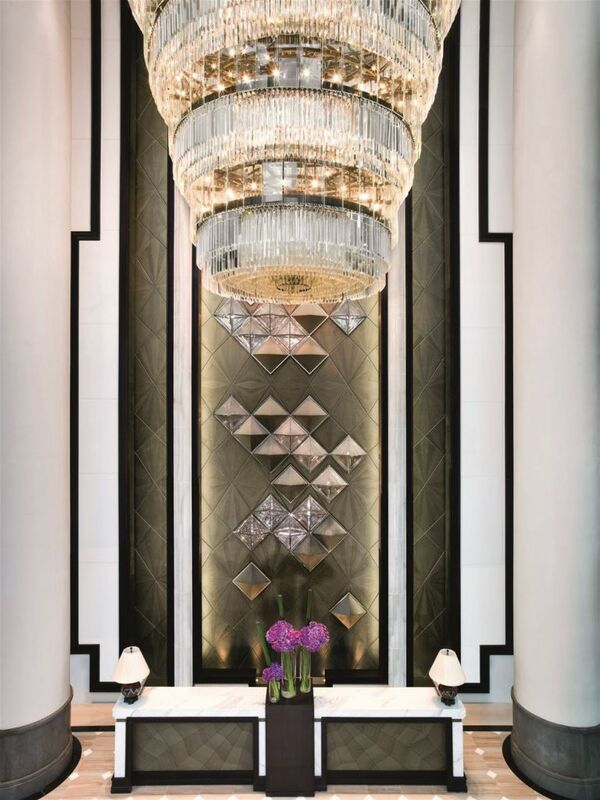 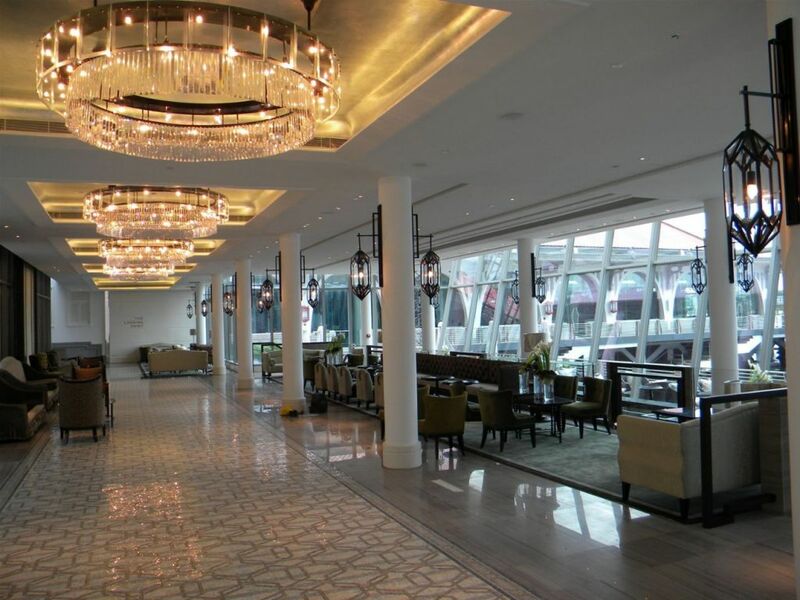 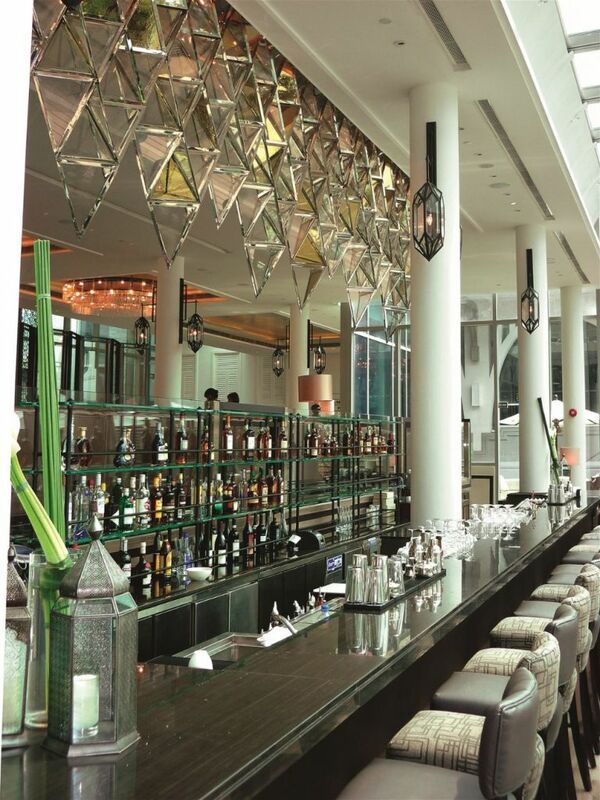 The PRECIOSA chandeliers dominating the lobby lounge and main entrance areas are created from triangle crystal rods, clear prisms and beveled glasssheets. 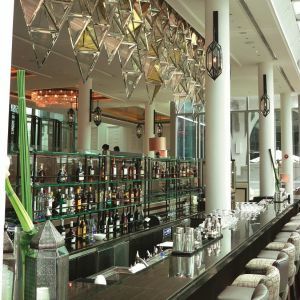 In keeping with the pyramid theme that appears throughout the hotel, the interior designer created an 8.6-meter undulating feature over the lobby bar made of glazed panels randomly set with gold and iridescent patterns, reflecting the sun rays from Singapore’s Marina bay.